Today I was interviewed by The Sunday Times about my sugar free diet. They came across my sugar free eating habits via an interview I did a few years back on the Foods To Love Website, which is run by the lovely Jenna Zoe, again a healthy eating enthusiast. With Christmas now done and dusted, there is no better time to cut down on sugar. I found that as soon as I did my energy levels were better, I was leaner and I looked less puffy and bloated. It’s a no-brainer. Why do you want to eat chemicals when there are plenty of naturally, tasty foods that you can eat instead?! Don’t get me wrong I still have it every now and then but nothing like I used too! Here is my interview – I hope you enjoy it. I do now offer a 21 day sugar detox, which is £25 a week and will give you 24/7 support to help you give up sugar for 21 days. I know 21 days may seem like a weird amount but that’s how long it takes to break a habit! If you are interested please drop me a line on miller82uk@yahoo.co.uk. I have helped plenty of people do it and will give you all the support you need to be sugar free for the New Year without feeling hungry or deprived. I’ll look forward to helping you! Personal trainer and Paleo enthusiast Lucy Miller writes for Health and Fitness magazine. In our first interview with her, she talked about cleaning up her diet and discovering amazing health benefits. Here, she talks to us about kicking it up a notch by eliminating processed sources of sugar entirely from her diet. 1. You recently decided to eliminate sugar entirely from your diet. What inspired you to do this? I found out I had adrenal fatigue and PCOS, both a result of unsteady blood sugar levels and stress. I am usually a really clean eater but every week I was having a ‘cheat’ meal as advised by my PT to boost my metabolism and as a result I had crazy blood sugar crashes, mood swings and cravings for sugar. I felt like six days a week I was on a sugar withdrawal and by the 7th day I was going mad for it. And I mean mad. Its crazy how much rubbish I ate on my day off. I felt out of control and it was not fun. I decided I needed to stop being so extreme. As a result, I loosened my diet slightly over the week, so I wasn’t craving sugar by the end of the week. When I say loosened my diet, I started introducing fruit and low GI carbs rather than living on protein and green vegetables all day everyday. 2. You eat pretty healthily as it is; how did your average daily diet change? What foods did you have to remove? I removed my ‘cheat meal’ which could have been a gluten free pizza followed by a large tub of pick ‘n’ mix sweets, frozen yogurt or cookies. I never used to eat all this but allowing myself a cheat meal opened up all sorts of new cravings because I was feeling so deprived and low on energy. Once I allowed myself to have an apple (which I was advised NOT to eat when being really strict with my diet) with some yummy almond butter and cinnamon as a snack and then some sweet potato fries with dinner, I felt like I wasn’t missing out anymore and focused on enjoying these food rather than focusing on fake food and sugar. 3. What foods were hardest to go without for you? At first pick n mix. I had a real thing about it from a childhood connection but I saw Marisa Peer And I sincerely believe it was her hypnotherapy techniques that allowed me to stop the connection I had with it and realise that I didn’t need it in my life anymore. It’s fake food with no nutritional value and was actually making me ill and unhappy. 4. Did you find it got easier to go without sugar as the time went on? Absolutely! The first two weeks were hard, especially as I went on a family holiday in the second week, and they were all having ice-creams and deserts. I just focused on what I could have though and when they were eating ice-cream, I enjoyed an apple tea or chopped apple with cinnamon. Now I’ve done it for five weeks and think well I’ve come this far, I don’t need sugar anymore! 5. How do you feel now and have you settled into a new norm? Fantastic. I have more energy, my skin and eyes are clear and I feel less hungry. Unstable blood sugar levels made me hungry all the time and lethargic. If I do fancy something sweet, I go for coconut chunks, protein pancakes with blueberries or a nice juicy orange. I’ve tried sugar free sweets but they just feel fake (they are I suppose), so I’m enjoying feeding my body foods with lots of nutritional value. As you will already know – I’ve stayed REALLY active during my pregnancy. I’ve tried to go to the gym five to six times a week mixing resistance, stretching and cardio work. It’s definitely kept the weight gain under control and made me feel good inside and out. It really worries me seeing some pregnant women hardly able to walk with aches and pains all over their body. I know everyone is different and I am very lucky to not of suffered from any of this but I do think my exercise has helped this. Lots of people have questioned me in the gym saying ‘Are you sure you should be here?’ Of course I should. I know my limits and would never put myself or my baby in any danger. I think it would probably be more dangerous for me to stop training to be honest. I’ve been training for so long and my body physically and mentally relishes on it. That said, since turning nine months pregnant, I know alternate my gym sessions with an hour walk – gym one day, walk the other. I can’t tell you how much I miss running so getting outdoors for a walk feels so good! I just stick my iPod on and go. So what are the benefits of walking in late pregnancy? Well apparently walking is a wonderful and natural way to induce labor at the end of pregnancy, infact the swaying motion of your hips may ease your baby’s head into your pelvis, giving you a leg up on labor. Walking also utilises gravity to help pull the baby down, which places gentle pressure on the cervix and encourages it to dilate. The rocking motion will also move the baby into the correct position for birth while helping to strengthen any contractions you may be having – and help them to become more regular. Walking up and down the stairs can also be a great way to get some extra walking in, especially if you are worried about leaving the house. The action of lifting your lefts as you climb up can help the baby descent into the correct position for birth and put gentle pressure on the cervix in order to start the dilating process. Try walking on uneven surfaces, such as placing one foot on the curb and one foot on the street to. This can help rock the baby lower and encourage the cervix to dilate. Just be careful you don’t trip so hang on to your partner’s arm for safety,especially if you’ve noticed your balance has deteriorated since being pregnant. So make sure you keep active. I’m due for a walk tomorrow – it’s a 5km loop that takes me about an hour. Who’s with me? Just make sure you take your phone, some water, wear a sports bra and listen to your body. This isn’t the time to be breaking any records. A little Visit to see Vivien Kay at Simply Healing Detox Retreat – Juicing, Healing and Catching Up. I can’t praise Vivien Kay and Simply Healing enough for all the support they’ve given me and my husband over the last year. It’s crazy to think that this time last year I had my first fertility appointment with a specialist, who told me I probably had PCOS. As you know from older posts it wasn’t that at all and I just needed to give me body a bit of TLC, eat more, cut down on the exercise and get more in tune with my body, which I did with the help and advice from lots of incredible experts. I remember, this time last year I felt so incredibly helpless. My sister was pregnant, it was coming up to Xmas and I was waiting to hear from my doctor about my next plan of action. It’s crazy. I was down in the dumps big time. I’m now 38 weeks pregnant and counting down the days until my due date…was a difference a year makes! So today I thought I would pay Auntie Viv a visit. Its hard at this stage of the pregnancy – you feel so close – yet so far. The due date is in sight but you feel tired and you are winding down so the days feel longer and you feel like you are just waiting. You also haven’t been scanned since week 20 (well most of haven’t unless you pay for a private scan or have had a problem) and you just want to know that you’re baby is ok and ready to come out. Re-assurance was defiantly needed. 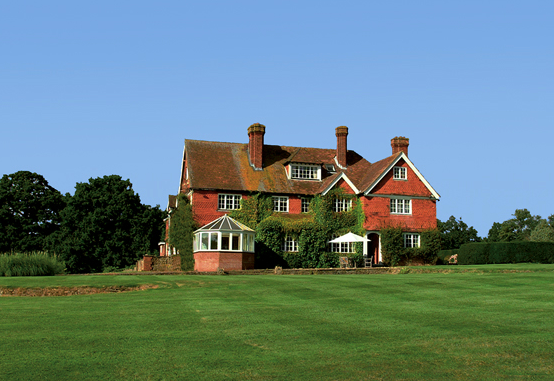 As usual my healing session with Vivien started with a warm welcome as I walked in to her gorgeous Sussex home. I then laid on the couch as she placed her hands on my bump. The first thing Viv said was that baby was very cozy and sleeping. She tends to sleep lots in the day and wake me up at 5am in the morning so this didn’t surprise me. After a few minutes, Viv expressed that she was slightly concerned about mine and the baby’s energy levels. I must admit, this rings true. My energy has been awful recently, and I just haven’t had an appetite – it’s a catch 22 as you obviously need to eat for energy. She said that she wants me to eat more (at least every three hours) because the baby needs energy to get into the prime position and get ready for birth. At this rate it looks like she might be late as she’s slightly lethargic – and not engaged. So what’s my plan of action? I need to start setting my alarm for every three hours and even if I don’t fancy food, have a juice or something with plenty of nutrients in. Here is a link to some of Simply Healing’s famous juices. There are loads to choose from and they are all super easy to make! I also need to make sure I have a snack before bed to stop me waking up so hungry and eat more good carbs like Rye Bread, Brown Rice, Sweet Potatoes and quinoa. Stuffed peppers with brown rice sounds nice! Another funny thing that Viv said was that the bubba liked the colour lemon yellow – which made me laugh as her nursery is very pink! We may have to start buying some yellow bits…. The in’s and out’s of Breast Feeding; Does breast feeding burn calories? At 37 weeks pregnant, things are starting to feel very real now. 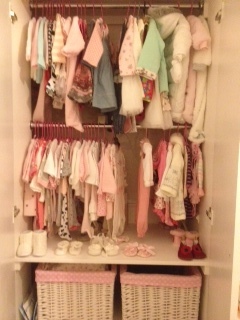 I’m full term and starting to get very organised for the birth and beyond. One thing that I feel I need to be really prepared for is breast feeding. I think you need to go into the hospital with a plan of action, as it’s more than likely that the midwifes will be very keen for you to breast feed or at least TRY and breast feed before you leave for home. One thing that really appeals to me is that breast feeding can really help you to get your pre-pregnancy body back. According to WebMD, you can burn up to 500 calories a day through breast feeding. The exact number of calories depends upon how frequently you breast feed and how much milk your body produces, plus as you wean, the number of calories you burn through milk production will also decrease. 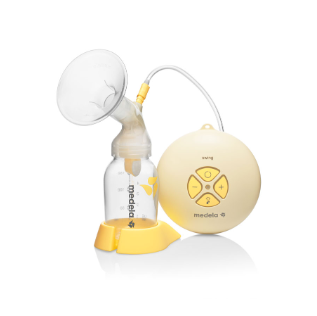 Medela.com also reports that breast feeding releases a hormone called Oxytocin, which is responsible for the contraction of the uterus and therefore helps to decrease the size of the uterus after birth. Well needed after 9 months of being stretched I’m sure! A few essential that I’ve come across when searching for the best breast feeding clothes and accessories is this awesome set of pyjamas by Anita. The last thing I want to be doing during night feeds is getting cold and having to strip off. This pyjama top is ideal for breast feeding and the bottoms are really comfortable with a supportive and flattering waist band too. Every little helps! I’m also a HUGE fan of the Anita nursing bras. This spotty number is really cute, soft and ideal for breast feeding, thanks to its adjustable straps and a double layered cup for extra support and comfort. Both of these items can be brought from www.anita.com – the website is well worth a visit! I’d never really considered Reflexology until I met the wonderful Keah Lan, a highly qualified wellbeing therapist and reflexologist. She was at The Mermaid Maternity Retreat press opening day way back in June, when I was just 15 weeks pregnant. There she gave me a 20 minute taster reflexology session, which just simply wasn’t long enough! I wanted longer – she was fab! The things she could tell from my feet were amazing and the treatment itself was really relaxing. Since meeting her, we have kept in touch on Twitter and she told me to come and see her when I was in the later stage of my pregnancy and ready to help prepare my body for labor. At 37 weeks, I’m more than ready, so I went and saw her, again at the Mermaid Maternity Retreat, which is based on the Kings Road. Before our hour-long session, Keah explained that she would massage certain areas on my feet to help stimulate pregnancy and labor organs and help boost my energy flow. Some of these points that she would be working on can help stimulate contractions, ease any aches and pains as well as release oxytocin, a natural hormone that is responsible for again stimulating contractions and labor. Keah specialises in reflexology for fertility, labor and the postnatal period, so I knew I was in good hands. The whole treatment was really relaxing. Yes, there was so sore points on my feet, especially the areas that related back to my lower back (I’ve been having lower back pain – the weight in my front feels like it’s pulling my back out of balance), my digestive system (I’ve been feeling quite sick recently – almost like I’m in the first trimester again!) and also the uterus zone, which is located near your ankle bone, and needs to be loosened slightly to help relax and of course stimulate labor. But although these were slightly tender I just practised my deep breathing (thank you Pregnancy yoga classes!) and went with the flow. After a good hour of TLC, Keah finished with a neck and shoulder massage and told me to get on with my day as normal but take it easy. She also mentioned that another session later on in the week would be beneficial. I did relax and met my mum for a herbal tea who was really worried and kept asking me if I was going into labor. Of course I explained that if the baby is not ready to come, the it won’t – however, there ARE certain pressure points that can be worked on to encourage or ‘prime’ your body ready for labour. Reflexology is unlikely to start labour there and then, but Keah has found that a few of her clients have naturally gone into labour within a next few days after her treatment – pretty impressive eh!? I’m excited to see what happens over the next few days – will I get some Braxton Hicks? Will my back pain continue to behave itself? I hope so! * The Sitting Squat pose – which again helps open up the hips and relaxes the lower back. I’m going to do these everyday as well as continue to do lots of walking and my daily gym workout. 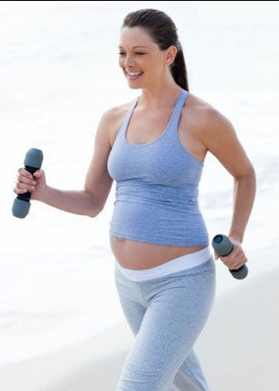 You may not feel like exercising when pregnant BUT it does help open up the hips and relax the pelvic muscles. It also gets those endorphins flowing, the calming and pain-relieving hormones that can be vital during labor. When I heard that NW8 MUMS, the friendly forum for mums living in NW8 praised Joe from Neil Cornelius. I had to check the Mayfair salon out. They described him as “the best hairdresser we ever had”, which gave me confidence that he could sort out my unruly pregnancy mane! At 37 weeks pregnant, my hair is definitely thicker (and I’ve always had super thick hair!!) and curlier, but on the plus side is shiner. It also grows really fast too, which is down the the excess progesterone circulating your body. Not good when you have a fringe! I didn’t get to see Joe when I walked in to the Neil Cornelius salon, instead I saw the very man himself Neil. The owner of the salon and a hairdresser since 12 years old. I explained to Neil that my hair was feeling a bit flat and un-manageable and that I didn’t want to (or wouldn’t be able to) spend hours and hours blow-drying and straightening every time I wanted to wear it down. It had grown so long and thick that it was starting to become a chore to style, which resulted in me just scrapping it back instead of spending time to actual style it. 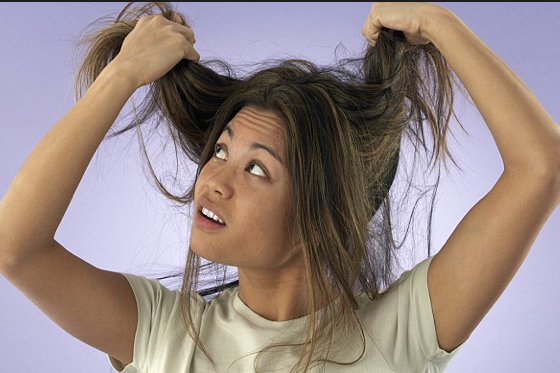 I was also very aware that once the baby arrives, I would have better things to be doing than spending hours on my hair of a morning, so although I didn’t want much off the length, it would be good to sort out the unruly layers and simply tidy it up a bit. And that’s exactly what he did. After a super relaxing wash, Neil squared off the bottom so it was all one length and hardly touched my layers, explaining that it was all the short layers in my hair that was making it look and feel thicker than it actually is. He said that if these was longer and blended into my hair more I wouldn’t feel that it’s so thick and keep trying to flatten it down with the straighteners. He also tidied up my side fringe, which was getting longer and wonkier by the day, as, as it gets too long, I have no choice but to get the scissors out. I know! He chopped into it a little and generally restyled it, making it look like it was supposed to be there, rather than an after thought, which is certainly what it was starting to feel like. It was then time for a sleek blow dry – which he made look so easy. The result, was that my hair was a little shorter, but it looked healthier, sexier (my husband told me so!) and flattering – no longer just something that hung from my head looking a little lifeless. I would definitely recommend any pregnant lady go treat themselves to a stunning haircut as they get closer their due date. I’m not sure when my next hair cut will be now, as I really don’t know what to expect with my first baby, so at least I have a manageable style that will see me through the next few months. It was also nice to get pampered for an hour or so – and have everyone fuss over you. The staff are lovely here – and they loved my bump too! I can’t wait to go back bump free and get my a yummy mummy haircut! 1st Floor, 109 New Bond Street, 020 7493 5304. From £65 for a cut and blow dry with a senior stylist, or from £150 for a cut and blowdry with Neil. You can also follow the salon on Twitter on @NC1stFloor. Pregnancy Countdown – 32 days to go. 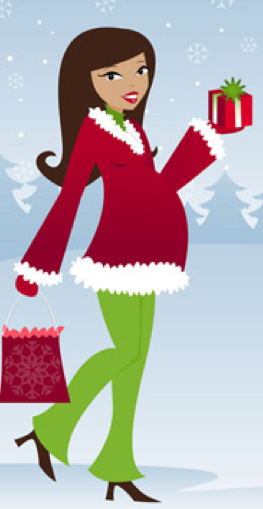 What does a pregnant lady wear at Christmas? When Christmas arrives – I will be 37 and a half weeks pregnant. Christmas is a time for socialising, dressing up and eating lots BUT I doubt I will be doing any of that. I’ve warned my husband that I may be a kill joy. I do love my bump but sometimes a night in watching a film on my gym ball sounds far more appealing than being in a crowded pub with people bouncing off your bump! So here is a breakdown of my pregnant Christmas…. Dressing up – I didn’t think I would be – and joked to my husband that i will either be wearing my sports gear all Christmas or a black bin liner – until I discovered Tiffany Rose – a gorgeous maternity collection, that I came across when looking at pictures of pregnant Michelle Heaton online. Michelle is also pregnant but always looks so glowing and graceful, and the dress she was wearing was absolutely gorgeous. It fitted in all the right places and showed her bump off beautifully! I then found the website Tiffany Rose and spent hours looking through their collection and deciding what to order for the big day. The range, inspired by icons of the 50s and 60s, includes timeless classics, with a touch of vintage or a modern twist. Some of the pieces are very dressy and if you had a wedding to go to or something would be ABSOLUTELY perfect. The truth is I only have four weeks of pregnancy left, with no big events like weddings coming up etc so I went for this gorgeous Grecian Top, that would look nice with skinny jeans or smart trousers and can be dressed up or down. It’s really floaty and elegant and something I would wear pregnant or not! I’m looking forward to wearing on Christmas day with a nice chunky cardigan, skinny jeans and some wedge boots. and the EDEN GOWN SHORT, which has a floaty skirt to hide any lower body sins and detachable Midnight Blue satin sash that will fit neatly around your bump should you wish it too – a bit like a bow around an extra special Xmas present. At last – I feel so much more positive about my maternity wear wardrobe. I have really struggled with what to wear during my pregnancy and will be recommending Tiffany Rose to all my friends ! Eating lots. Will I be eating lots? No probably not. When you are pregnant your baby takes up LOADS of room inside your body – room that used to belong to your lungs and stomach and digestive system. Check out this picture below. 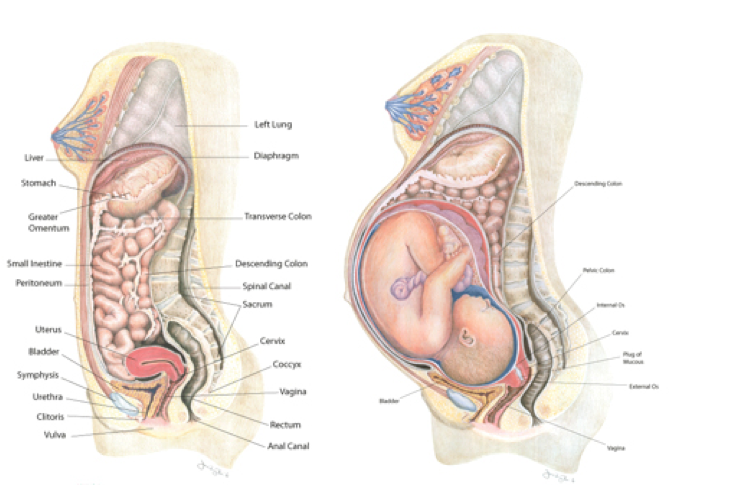 The left-hand image shows a woman’s body before she gets pregnant, and the right-hand image shows her body carrying a full-term fetus. See how squashed her stomach is? If you eat too much when pregnant you end up feeling totally bloated and can’t move so the best thing to do is eat little and often. I’ll be saving some of my Christmas dinner (and pudding!) for a few hours later that is for sure – doggy bag springs to mind! Ok so I’m now officially over 35 weeks pregnant – and coming up to being nine months pregnant – who would have thought time would fly so quickly? This week is all over getting the most out of my birthing ball – something you may have heard a lot about in your NCT classes or from your midwife. I sit on it as much as I possibly can! 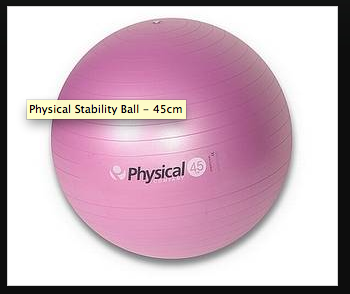 A birthing ball is essentially a gym ball/swiss ball. I find it comfortable to sit on especially if I am working or watching the TV in the evening – as its uncomfortable to sit of hard chairs at the moment and I find it effort having to get up from my low sofa. * helps me to build strength and flexibility in my spine and thigh muscles. When you sit on the ball you’ll also find that the legs naturally drop to the sides, so therefore open in the pelvis to its widest diameter and adds optimal foetal positioning in preparation for labor. You can take it to the hospital to help with labor too! 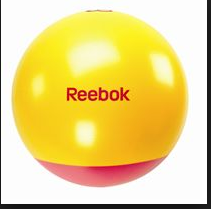 My mid-wife defiantely advised me to take it as sitting on the ball encourages a natural swaying motion of the pelvis, which helps the baby descend into the birth canal. I also like it because the sitting position assumed on the ball, is very similar to the squat – which opens the pelvis and helps the birthing process. 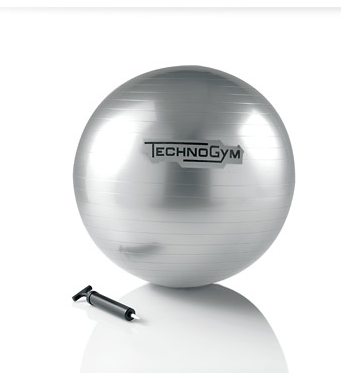 The ball also supports your entire weight making it easier to breath and take pressure of the back. I will most ceratinly be taking mine with me! One piece of advise though – just make sure it fits in your car before you make the trip to the hospital – that could be pretty embarrassing! I know one lady who had to get a cab to the hospital but leave her ball by the side of the road because there wasn’t enough room for it! Need a birthing ball? Here are my top three gym balls. Pregnancy countdown – 38 days to go and I had to get…..
Like most, I’m not good without my sleep. And I know that once baby is here, the first few weeks will be tough. Waking up every few hours is guaranteed but hey, that’s the one of the joy’s of having a new born and I wouldn’t expect any different. I was blown away by this cool little toy though. 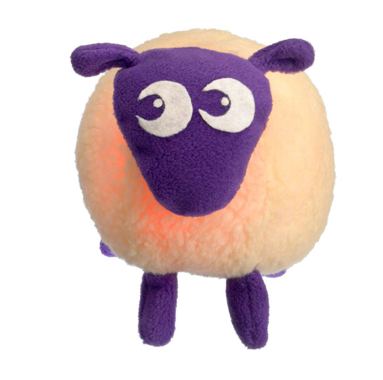 Ewan The Dream Sheep not only looks adorable, but it’s cool little features like playing womb and heartbeat sounds which mimics what they heard from the womb is said to help sooth your little one and help them settle. It also has three other noises including classical music and white noise and it gently lights up a pinky colour, which according to research has been to mimic certain aspects of the womb and be extremely comforting. I’ve only heard good things about Ewan and CAN’T wait to give him to my baby girl. He is so soft and most impressively the heartbeat and womb sounds that he plays are actual recordings, not computer generated, which should help her with the transition from womb to big wide world. 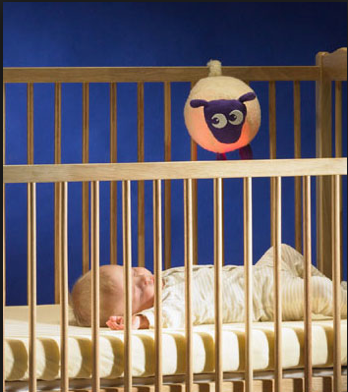 These sounds have also been trialled on different babies and toddlers to find the most effective ones to aid sleep. Ewan will without doubt be in my hospital bag – the sooner I introduce her to him the better. I can’t wait!